Yellamundie, the National Aboriginal and Torres Strait Islander Playwriting Festival. Carriageworks, Eveleigh, NSW from 27 July to 8 August (Public Readings of new works from 6 to 8 August). 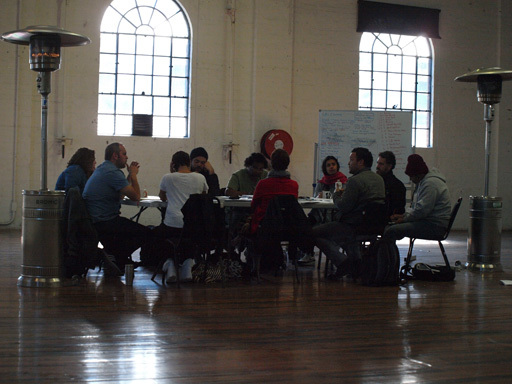 The National Aboriginal and Torres Strait Islander Playwriting Festival, Yellamundie is currently underway at Sydney’s Carriageworks. 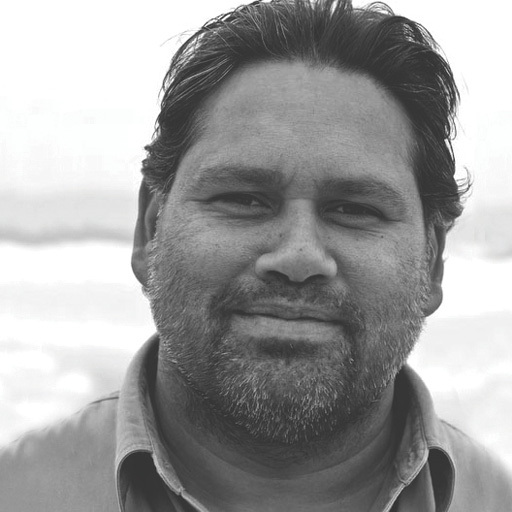 Yellamundie, which is the Darug word for storyteller, grew out of the National Indigenous Theatre Forum held in Cairns in 2010. Moogahlin (http://moogahlin.com/), based in Redfern and the premier NSW Aboriginal performing arts company, then produced and co-presented the inaugural Yellamundie in 2013, in conjunction with Carriageworks and the Sydney Festival. The event built on the legacy of Redfern’s Black Theatre and its rich history of nurturing Aboriginal playwriting, directing and acting talent. The festival is set up in two phases. The first, which kicked off on 27 July, brings together six Aboriginal playwrights who will spend two weeks working with leading Aboriginal directors, dramaturges and actors. During this period they will workshop and development their work before presenting it at a series of open readings between 6th and 8th of August. Nathan Maynard has 17 years’ experience as a dancer in schools and communities. In 2012 he performed in Shadow Dreams, a collaboration of Terrapin Puppet Theatre and the Tasmanian Symphony Orchestra, and in 2013 and 2014 he was selected as a participant in the Tasmania Performs Artists Residency program at Tarraleah. His selected play The Season is a funny insight into the inner workings of a family mutton bird shed on Dog Island (part of the Bass Strait Islands) during the unique six week harvest season of the mutton birds by Aboriginal Tasmanian people. 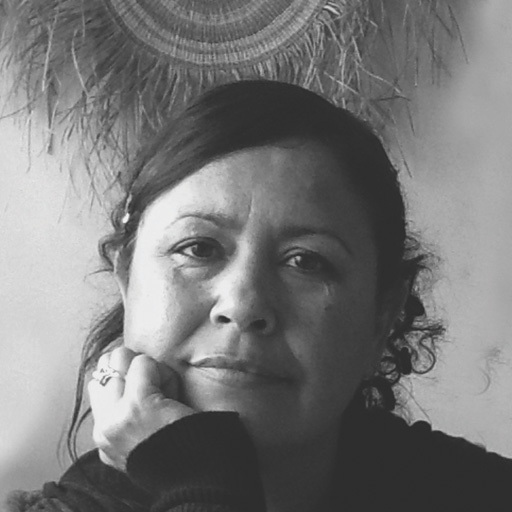 With an extensive career in dance and theatre, Tessa Rose received a Diploma in Dance from the National Aboriginal Islander Skills Development Association (NAISDA). Life’s a Suitcase speaks from the heart and follows a woman’s journey from adolescence into womanhood growing up with a string of non-Aboriginal families in Perth. It is a story of hope and inspiration and the drive to succeed in the face of daily oppression. Glenn Shea is a graduate of NIDA, he is a writer, director, actor and producer with over 30 years experience in the industry. Glenn has worked in film, TV, theatre and radio, he has also invented The Stoyteller cultural educational resource. Glenn is the writer of the award winning work Three Magpies Perched in a Tree. Masterterpiece is the journey of an Aboriginal man burned out from the work he has had to do in his community. He feels that his culture, system and family have deserted him. In nonindigenous terms he has come to commit suicide, a sufferer of post traumatic stress disorder. In indigenous terms he has come to challenge those demons/spirits. 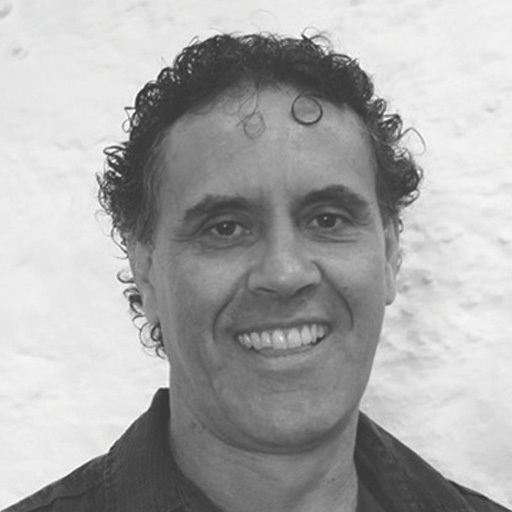 David Milroy was the first Artistic Director of Yirra Yaakin Aboriginal Theatre and in 2002 received a Myer Award for his contribution to the development of Indigenous theatre. 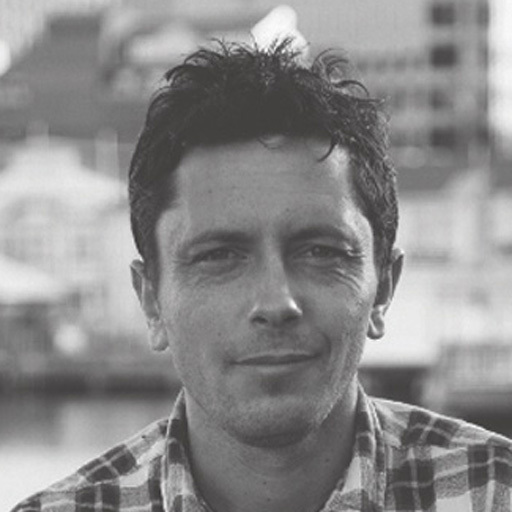 David was a guest Director of the American Playwrights Conference in 2002 and has attended the Australian National Playwrights Conference on a number of occasions as a writer and director. David received the 2004 Patrick White Award and the 2005 Equity Guild Award for his play Windmill Baby and a Deadly Award for his music in Windmill Baby. Rodeo Moon is a Jack and Jillaroo musical theatre play set in 1969 in the north-west of Western Australia. Two years have passed since Aboriginal people have been granted citizenship and voting rights. In the weeks leading up to a Federal election between Gough Whitlam and John Gorton, a travelling rodeo hits town, exposing old attitudes to the changing face of Australia. Karla Hart is a performing artist across all fields. She is an actress, writer, event co-ordinator for Wardarnji Festival 2011- 2014, lecturer, Role Model with Role Models Australia, Master of Ceremonies, manager and performer with women’s Noongar dance group Kwarbah Djookian, performance poet, rapper and rap teacher; and teaches Noongar and contemporary dancing, writing and performing poetry, mask work and confidence building, and is an artist in residence for festival entries with schools. Tooly is the story of a strong Noongar spiritual belief entwined with a powerful bond of sisterly love. In the great south of Western Australia live the Goreng people from Gnowangerup, belonging to the Noongar tribe. Meet two sisters who have been side by side for most of their lives. The sisters have lived a hard life, existing at a time without basic human rights, but always holding strong to their cultural ways of living as much as they could, with a comical outlook on life. The rain has come to give a message and the sisters know this as they know the rain – almost like a mist that kisses your face. The rain means (to those who know it) that somebody close will soon be gone. The sisters go about their day-to-day life and wonder who will it be, they share their lives and love of this story which is more about love than about death. 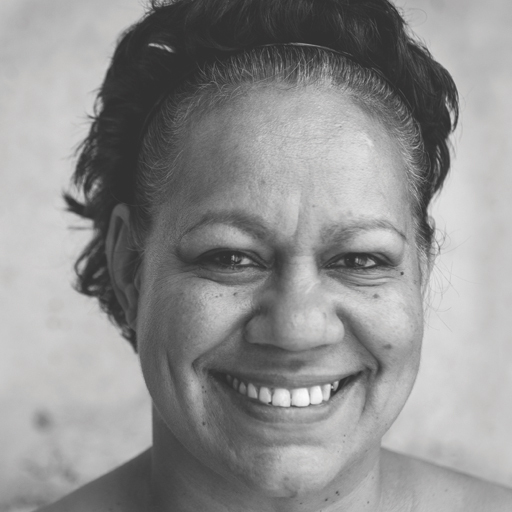 Melodie Reynolds-Diarra is a Wangkathaa woman from Western Australia and is one of Australia’s most accomplished female Aboriginal actors with over 25 years experience in the theatre, film and television industries. At the age of 16 she made her debut in theatre with Neil Armfield’s production No Sugar. 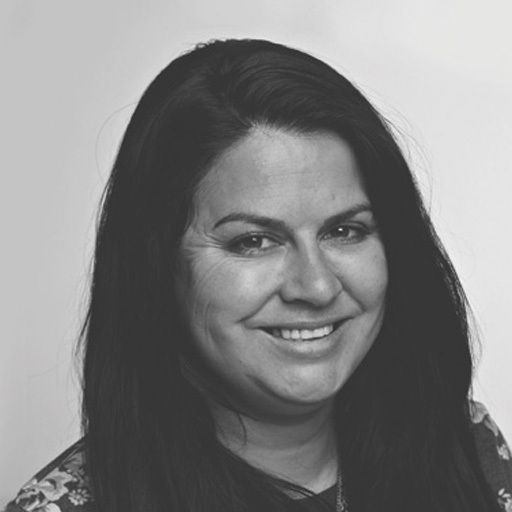 Melodie studied at Western Australian Academy of Performing Arts, graduating in 1996. As an actor she has worked with directors such as Rosemary Johns, Rachael Maza, Wesley Enoch, Richard Frankland and Isaac Drandic. In July 1979 American space station Skylab crash lands off the southern coast of Western Australia near the coastal town of Esperance. Debris from the space station is scattered from Esperance across the Nullarbor towards the Central Desert. NASA offers a reward for the first returned piece of the space station and $100,000 compensation if anyone is hit by a piece. President Jimmy Carter rings Balladonia roadhouse (near the Nullarbor) to formally apologise to the Australian public for any inconvenience caused. Parts of the Space Station land on a small farm in Esperance where an Aboriginal family live. One by one the three children start to show signs of psychic powers. In addition to readings of the workshoped plays there will also be three panel discussions, From Stage to Screen,The brilliant journey of The Sapphires and Radiance with Tony Briggs and Rachael Maza (August 7); Meet the Playwrights, Karla Hart, Nathan Maynard, David Milroy, Melodie Reynolds-Diarra, Glenn Shea and Tessa Rose; and finally Making and Staging Indigenous Stories: A Global Perspective with Ryan Cunningham, Miria George, Andrea James, Hone Kouka and Victor Rodgers (August 8). This entry was posted in Issue 15, Mark Roberts, Yellamundie: The National Aboriginal & Torres Strait Islander Playwriting Festival and tagged David Milroy, Drama, Glenn Shea, Indigenous Theatre, Karla Hart, Melodie Reynolds-Diarra, Moogahlin, Nathan Maynard, National Indigenous Theatre Forum, Redfern’s Black Theatre, Tessa Rose, Theatre by Mark Roberts. Bookmark the permalink.